Running In Heels: How Do I Balance it All? Running my own business,blogging, working out, and networking is a full time job, but I manage to make time for family and dating. How do I do it? Girl, sometimes I don't do know how, but I make it work! Here are a few things I've implemented along the way to master the art of the balancing act. When you have to manage your client's media calendar and your personal calendar as well, it can get a little crazy. I'm a fan of using apps. I have an app for everything. Google calendar is my favorite! I have to remind myself what I should be doing for the day. If It's not written down, it's not happening. Doesn't matter if it is a phone call, meeting, or event, I write it down. I'm very active on social media for my brand, but I'm not on there all the time. That's why social media scheduling was created. I also make sure I have canned email responses for frequently asked questions. There are so many things that can be automated beyond social media that can help make more time in your life. I always consider what is not negotiable and what's important to me. If I miss Zumba, it's a problem. I get irritated and everything else falls out of balance . I can't keep going to these media previews dinners and not work out! I'm curvy, and short so going to the gym is a must. You can't do everything. No is a complete sentence. If you're having a hard time balancing your life, it's most likely because you're doing way too much. Cues, You need to cut it! Stop taking on everything because you are one person. While it make look like I'm doing so much. I'm very strategic about how and what I spend my time on. What do you do to balance your life? Leave your comments below! As a way to sum up the site, it is all about helping you become the media magnet you were destined to be. Whether you’re an aspiring PR professional or a business owner looking to step up your PR game, you've come to the right place. I'm here to you become the media magnet you were destined to be. Whether you’re an aspiring PR professional or a business owner looking to step up your PR game, you've come to the right place. Read More..
Is gaining more viability your goal for 2019? 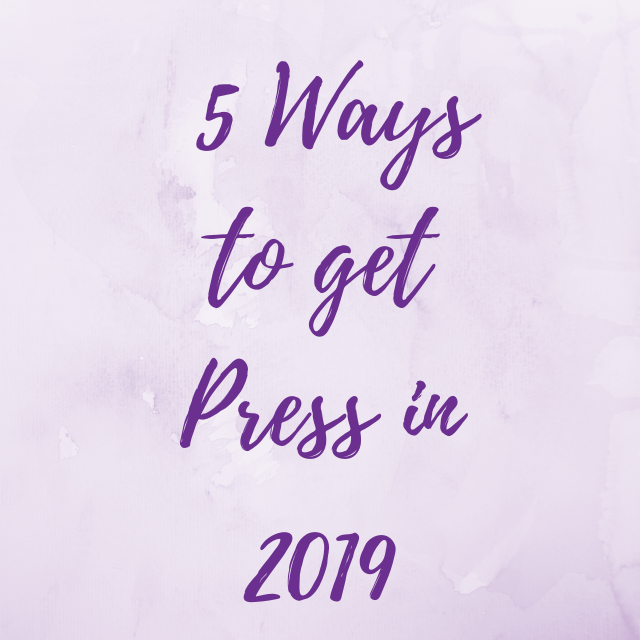 Listen to my 5 tips for getting more press in 2019!